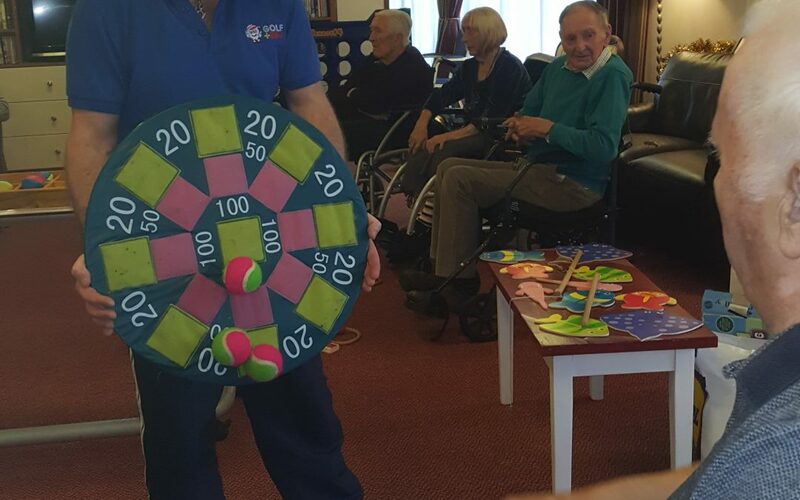 We had the lovely people from Golf To Go visit us and they brought their portable golf course along with other fun activities like virtual horse racing, a giant connect 4, and some great quiz games. The residents, families and children all got involved (and a little competitive). They really enjoyed the afternoon. We definitely will be welcoming them back!